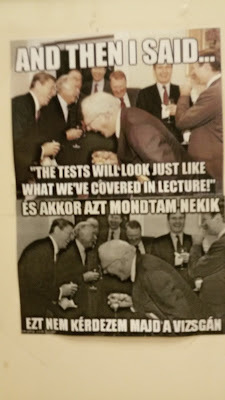 Actually found on the door of an exam room/office. The moment I got my chemistry mark (last exam), I started work on some summer projects. I can't sew anything until I get home from Budapest, but i can start designing. 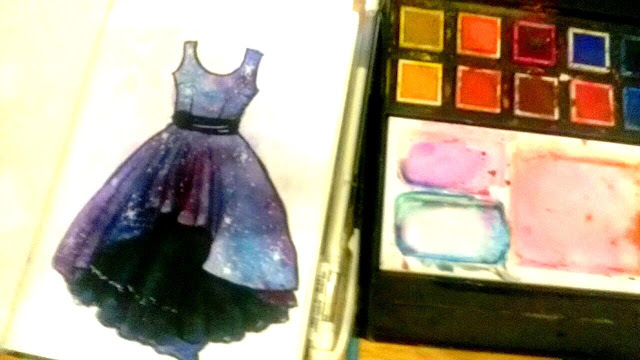 One is a galaxy-print dress. I've been wanting to make one for a while. I want to make it from recycled materials, so I'm not sure if I can achieve the full skirt, though the black underskirt will help with volume. 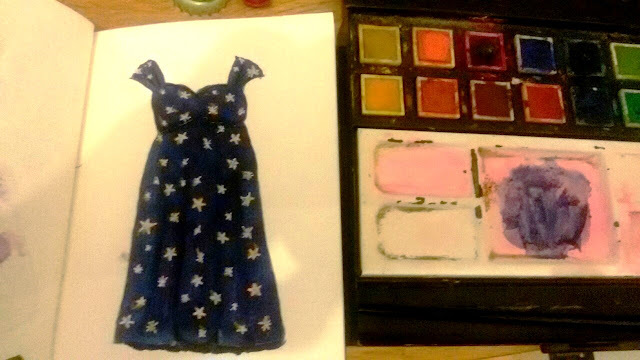 Another project is a Luna Lovegood inspired dress. I made Luna's Spectrespecs and thought I'd expand it into a simple costume (my university friends and I are planning a Harry Potter group for Halloween We've got a Ron, Hermione, Ginny, and Hagrid. There's some debate if I should be Malfoy or Luna though :P). Here are the Spectrespecs and the fabric. 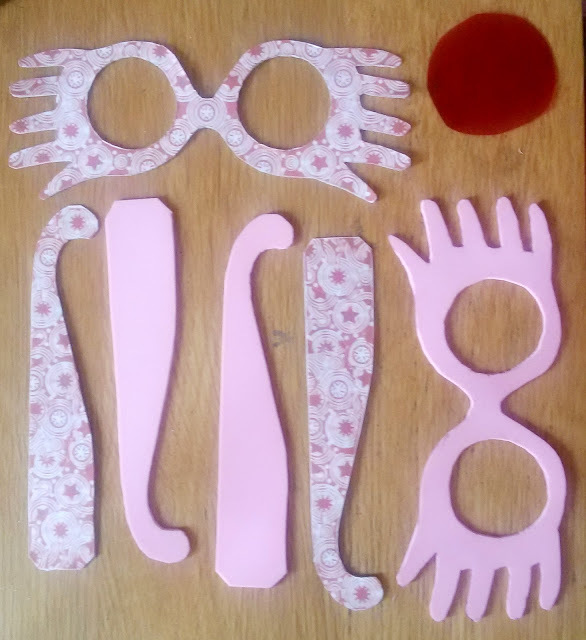 The Spectrespecs are made from paper, card, craft foam, plastic, cellotape, and a lot of glue. This is the one that I used. Glue it to a piece of card. 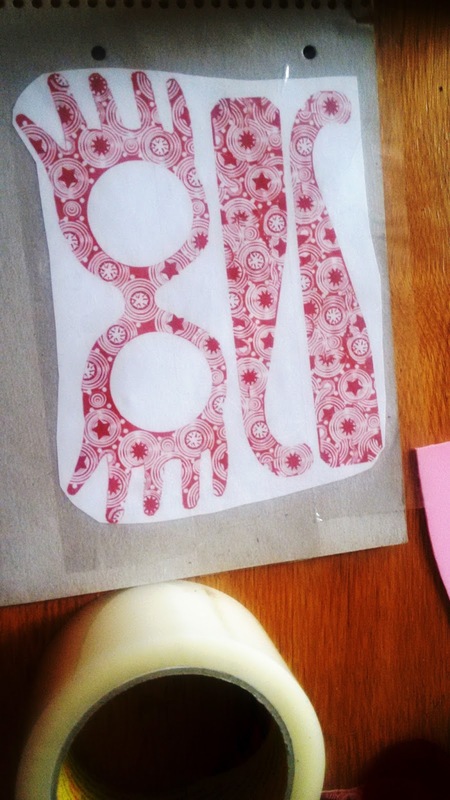 3) Use the cardboard cut out to trace the pattern on to craft foam. When cutting the foam, cut a little inside the lines so that the foam isn't bigger than the outside of the Specs. 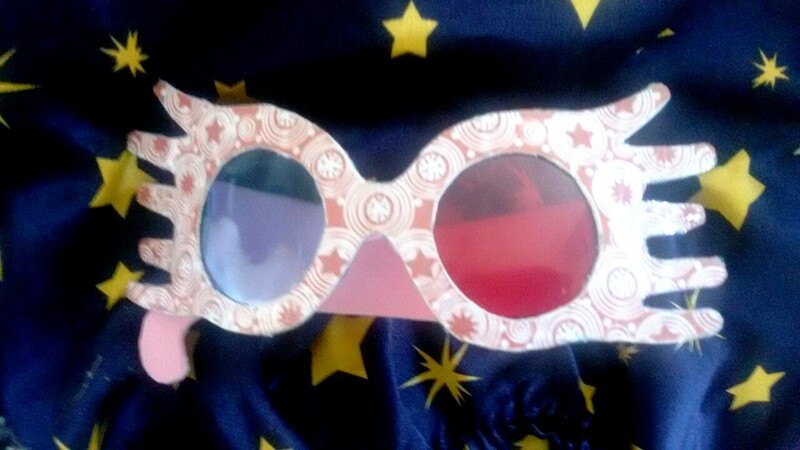 This is also a good time to cut out the lenses. Use the lens holes on the specs to help you trace a circle, but make the plastic circle a little bigger than the lens hole: this will help you to glue it in. I cut circles from a Fanta bottle (blue Fanta = elderflower. 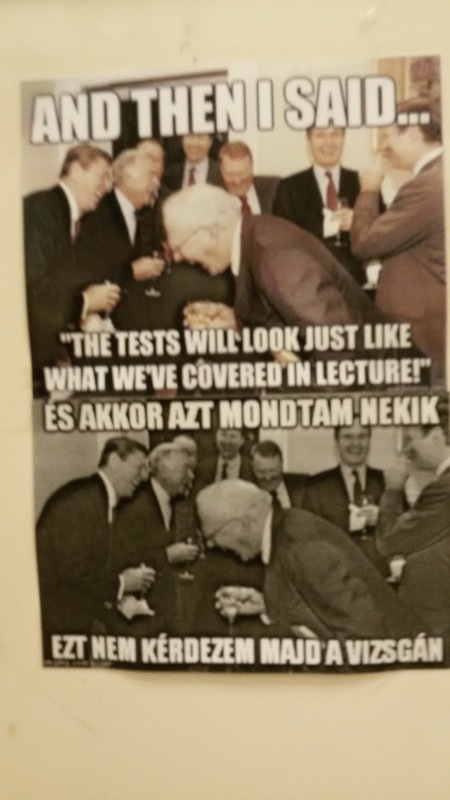 Hungary loves elderflower. And rosehips.) and a laundry detergent bottle (surprisingly hard to find red plastic bottles that are also transparent). You could use cellophane to get a similar effect. 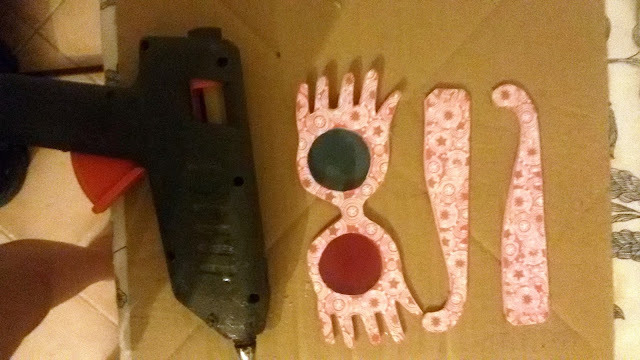 4) If you want to reinforce the Specs' arms with foam, cut off the little piece at the end. This will make it easier to bend the arms. 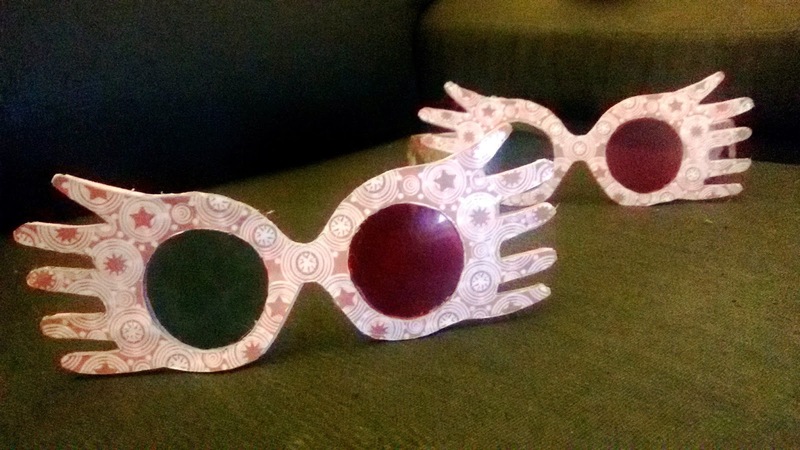 5) Glue in the lenses with a strong glue. I used hot glue. 6) Glue foam on to the back of the card pieces. 7) Next, the arms. Score the line of the tab and fold it. 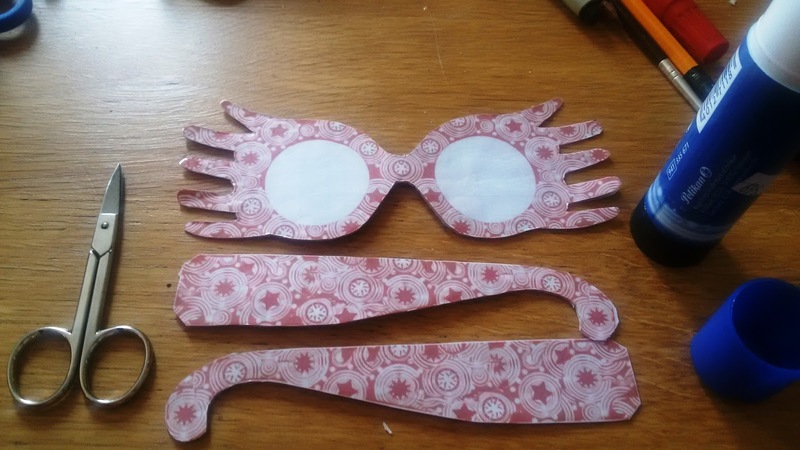 Decide how you will position the arms on the main part of the specs. Make sure you'll be able to fold and open the glasses. Glue down the tabs with a strong glue. 9) Ta da. Finished spectrespecs. 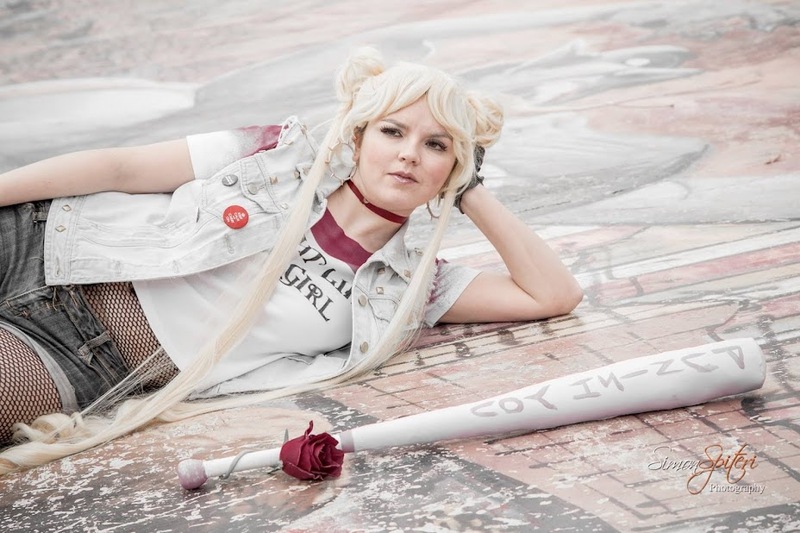 I didn't want to make an exact replica of any of Luna's costumes from the films. Instead I thought I'd try an original design. I found a pair of satin pyjamas with a lovely print: dark blue background with gold/yellow stars. I thought that would be perfect for Luna's personality. The colours are also quite reminiscent of Ravenclaw. 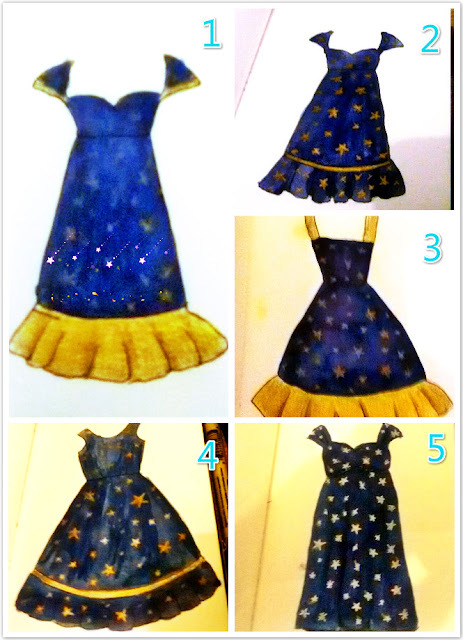 I painted a few designs (sorry for the camera quality: my phone was not cooperating), and I'm trying to decide which is the most "Luna" like. Feel free to make suggestions on which design is best for Luna.